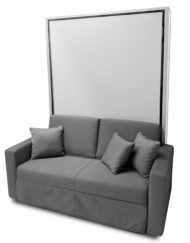 The MurphySofa Adagio 2 seat soft sofa works in unison with our amazingly smooth wall bed systems without having to move the sofa. 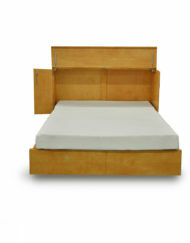 It fits a 10″ USA or Canadian Queen size mattress of your choice which means you get to choose your own comfort level. 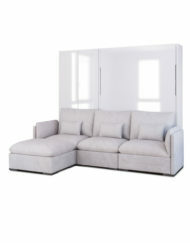 The sofa is ultra plush with sink in comfort on the seats and super soft feather pillows and fill. 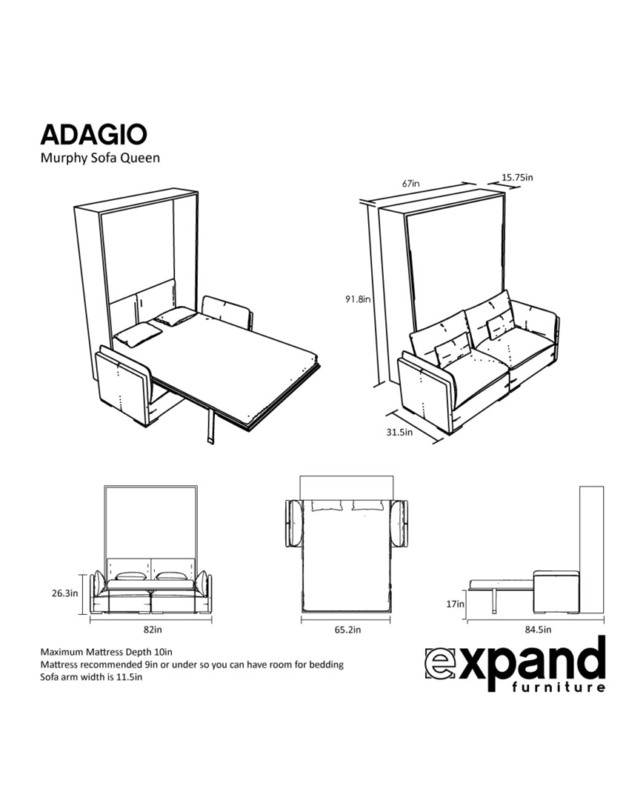 The Adagio modular system is completely upgradable which means you can add on modules to increase the size of the sofa. 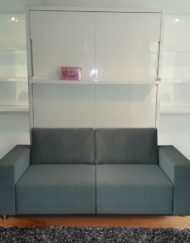 The sofa fabrics are removable for hand washing. 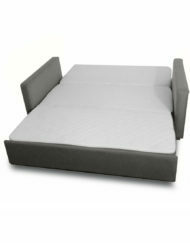 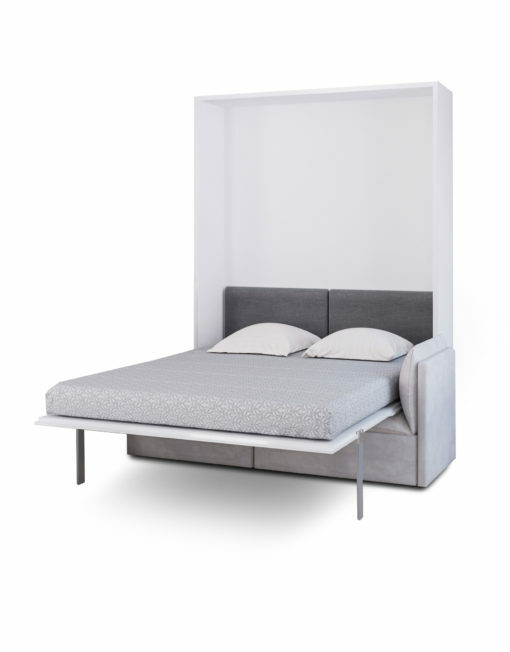 The MurphySofa wall beds European built system is smooth and easy to lift and lower for people of all ages. 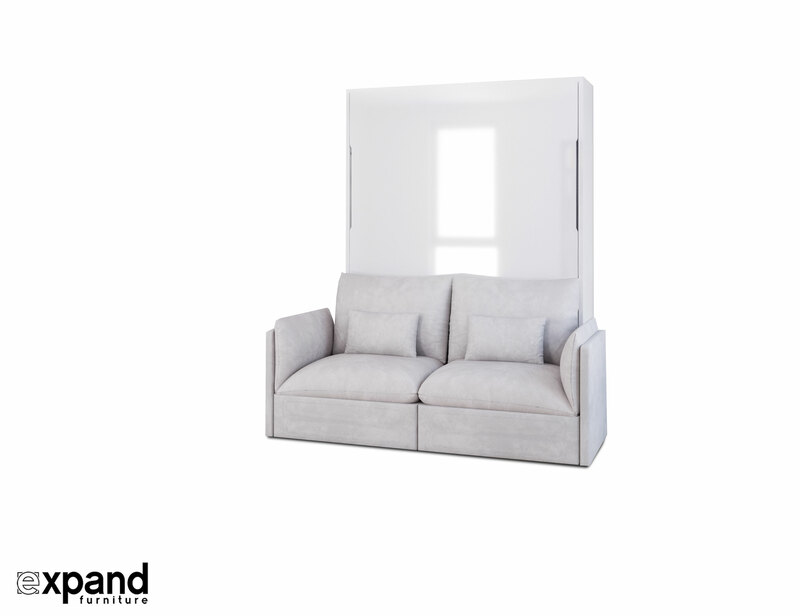 An incredibly comfortably sofa paired with a brilliant wall bed and the convenience of future proof upgrade options make the MurphySofa Adagio an excellent choice. 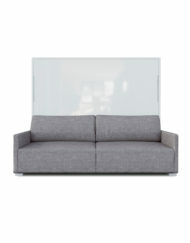 View More MurphySofa Options here. 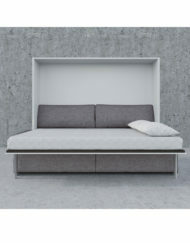 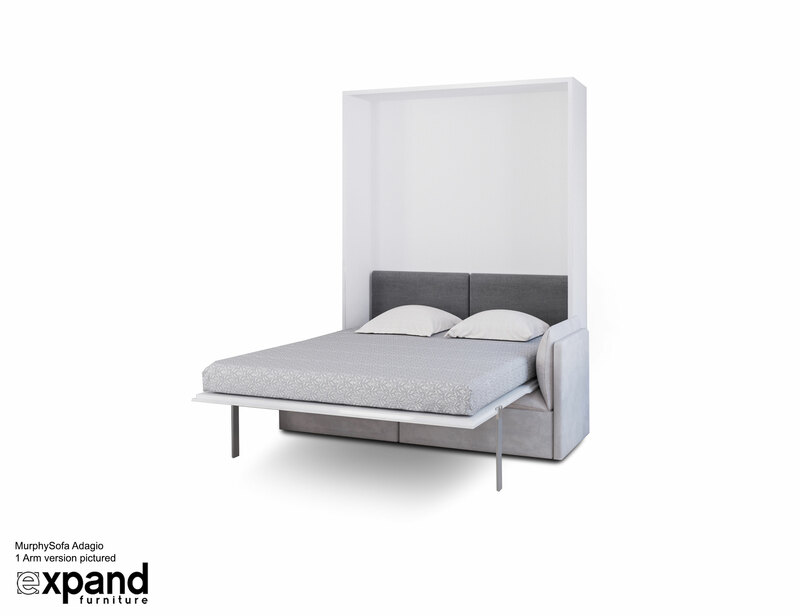 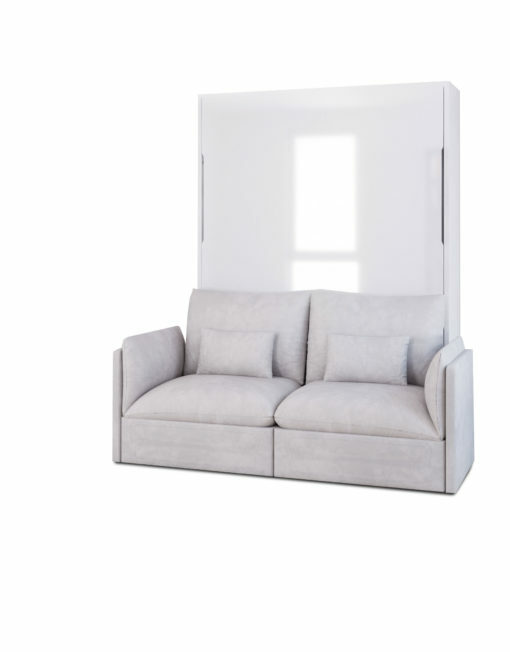 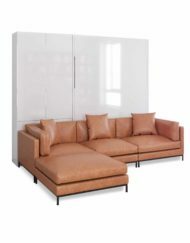 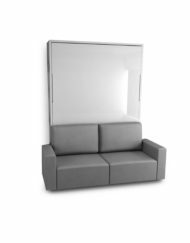 The MurphySofa Adagio 2 seat sofa wall bed is completely upgrade-able with the ability to add on more modules. 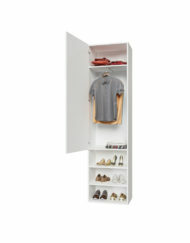 You can unzip and hand-wash the removable fabric. The Adagio sofa pairs perfectly with our MurphySofa European built wall bed system. 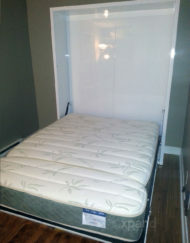 It is built for a USA-Canada sized Queen mattress of your choice. 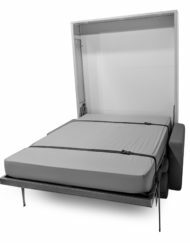 Incredible comfort, quality and convenience in a smart up gradable package. 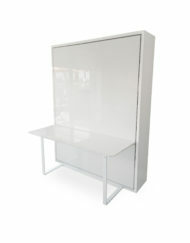 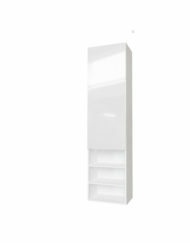 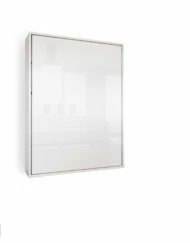 Minimum required width and height to install this system: 81.88 wide and 93 inches tall. 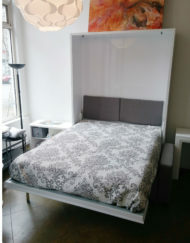 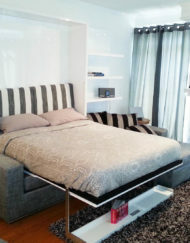 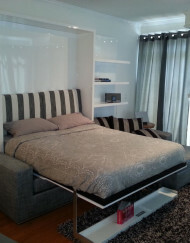 You need a minimum of 67 inches to fit the wall bed and 8 feet ceilings or a minimum of 93 inches height. 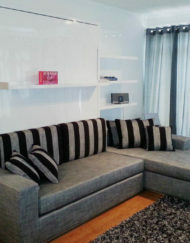 Note the sofa in front is wider than the wall bed. 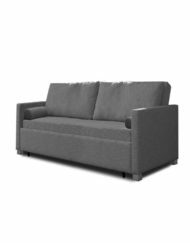 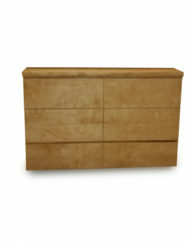 You need 81.88 inches, The side sofa arms are about 11.5 inches.